You'll be £16.99 closer to your next £10.00 credit when you purchase John and Sebastian Cabot. What's this? Raymond Beazley was first published in 1898. Its enduringvalue in addition to its lucid, well-balanced, and researchednarrative is the author’s detailed history of prior voyages tothe North American continent, including those from Chinaand the Pacific Islands as well as those from the realms ofmythology. The author also includes all extant references tothe Cabots in historical documents. This is still a readable account of the career of the Cabots, but its main value to the modern reader is the impressive collection of contemporary sources relating to the two men, which vary from official documents to mentions in private letters, and allow us to come to our own conclusions. 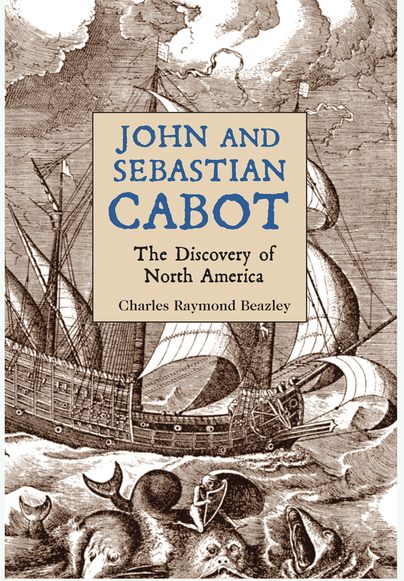 John and Sebastian Cabot: the discovery of North America has long been out of print and it is not readily accessible. In an era where such classic works are more easily found on the Internet than on library shelves, students of the later Middle Ages and the early modern voyages of discovery and those examining the mentalities of late nineteenth-century England will be grateful to Westholme Publishing for reissuing this important and seminal book. SIR CHARLES RAYMOND BEAZLEY (1868–1955) was a fellow of Merton College, Oxford, and chair of history at the University of Birmingham. He is the author of a number of histories, including Prince Henry the Navigator and The Dawn of Modern Geography.